BPSC Bihar PSC J Civil Judge Mains Exam Date 2019. 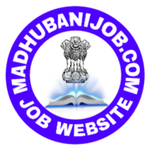 Bihar Bidhan Sabha Assistant & Other Post Mains Admit Card 2019. UPSC NDA & NA Recruitment Admit Card 2019. PNB Recruitment Technical Officer Admit Card 2019. BPSC Assistant Engineer Pre Admit Card 2019. NIOS D.El.Ed 4th Semester Admit Card 2019. Coast Guard Yantrik Admit Card 2019. Indian Coast Guard Navik (GD) 02/2019 Batch Admit Card. SSC GD Constable Admit Card 2019. BPSC Assistant Engineer Exam Date Announced 2019. SSC Stenographer Admit Card 2019. SSC CGL 2028 Examination Date 2019. Karnataka Bank Po Scale 1 Interview Admit Card 2019. Hall ticket 3rd NIOS D.El.Ed Examination December 2018. Coast guard Assistant Commandant 02/2019 Admit Card. SEBI Assistant Manager Mains Admit Card 2018. CTET Admit Card 2018. December Exam. IBPS Clerk VIII Pre Exam Training Admit Card 2018. Bihar Police Constable Admit Card 2018. IBPS RRB VII Officer Scale I, II, III Interview Letter 2018. UPSC CDS Admit Card 2018. Indian Bank PO Admit Card 2018. RBI SO Recquitment Admit Card 2018. IBPS RRB Officer Scale I Mains Admit Card 2018.